from such events is a pursuit of supreme importance for all of humanity. once applied, can ultimately protect, but having knowledge first is key. or prepare for such disasters. when it comes to understanding catastrophic earth-changing events. fathers could never have imagined. and map, catastrophic mass movement of the Earth's surface materials. perceived on a scale that had been unimaginable until he described them. of that area were all 'well defined'. They were mistaken. gradualist-assumptive, reasoning just won't get you there. 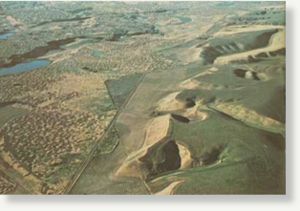 resulted from an early Holocene event he'd called 'The Spokane Flood'. that he couldn't gloat properly, because all of his enemies were dead. 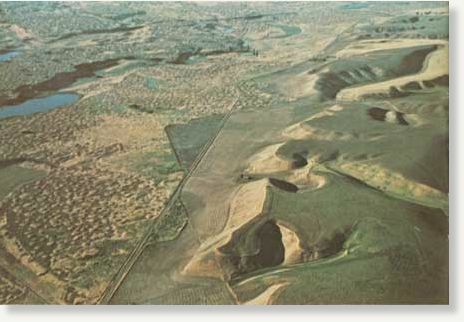 Channeled scablands in Eastern Washington. are not all that visible from ground level. and squirms, just like a little pig when you poke him through the bag. holding nothing but an empty sack of lies. mathematical genius. But he wasn't worth a damn as a geologist. He wouldn't even pass a 5th grade geology test of today. for us, and to do with as we damn well pleased. 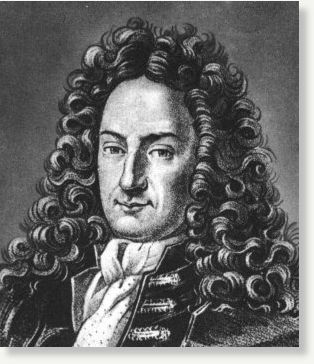 Gottfried Leibniz - The grandfather of uniformitarian thinking in geology. "Nature does not jump"
Charles Lyell popularized his ideas in his book 'Principles of Geology'. with it. They weren't brilliant geological thinkers either. force in the geo-morphology of this world for more than 150 years. That's a cruelly long time time to leave the poor kitty in a bag. intended. Now be good sheep. Pay your taxes, and tithes, faithfully. before he gets pissed off, and your crops fail." 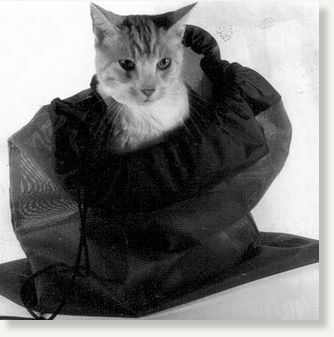 look, and I'm afraid we've let the cat out of the bag. assumptions, of generations before them. while the sun, moon, and stars, dance merrily across the heavens above." has been completely overlooked. Until we saw the fragments SL-9 hit Jupiter no one could have imagined such energies coming from the sky. And no one could have imagined that there might be such a thing as a geo-ablative airburst event. Or a cluster impact event. all falling in the space of an hour, or less, might do to the ground. the mystery of the missing craters is solved. 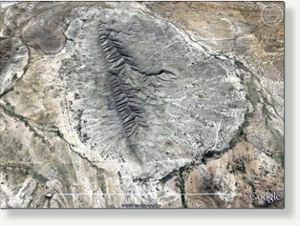 Chihuahuan "Ignimbrites" - evidence of impact. to the choir. But to tell you the truth, I'm as poor as a church mouse. not make it count for something? fuel costs, would be in the neighborhood of $7,500. also be helpful. And a portable XRF analyzer would be almost priceless. specimens from some of the oval craters in the Rock Rock River Valley. 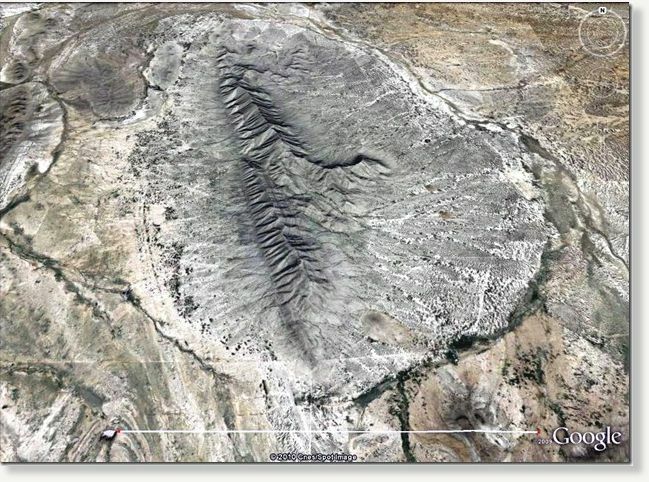 get specimens from the oblique craters in a dry lake there. terrains are interesting enough to make an exceptional documentary film. sciences from the bottom up. down the whole damn temple, and build a new school from the ruins. 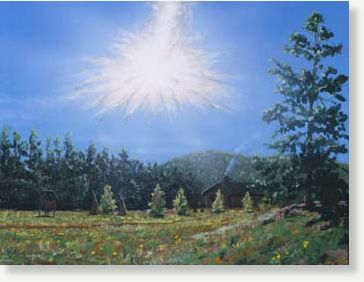 An artist's depiction of the Tunguska explosion. previously featured article, "if you can describe a beast, you can predict its footprints." toward his work on this supremely important issue that affects us all?